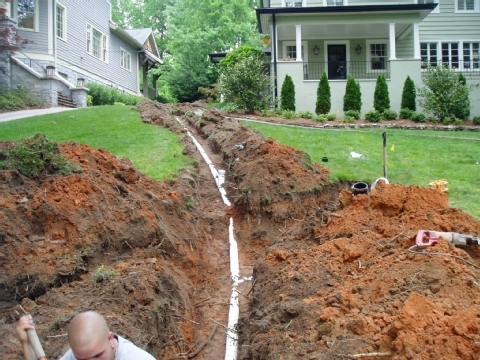 The maintenance of the main water line in your house is very important. If there is a leakage in the main pipe line, it will flood the foundations of your house and create various issues that will be costly and hard for you to handle. That is why Pardue Plumbing advise to get the main water line of your house examined at regular intervals to assure that any problems can be resolved at the right time. However, inspecting the water line of a house is not an easy task. But there’s no need to worry, because our experts are available at your service. We have high-tech tools and cameras, that we will use to inspect the entire water line and provide you the following services and issues. If you are dealing with any of the above-mentioned problems there is no need to panic, all you have to do is give us a call and let us know the problems you have noticed with the main water line. Our experts will reach your destination in no time and assure to repair the yard and water line to preventing further damage.